What do you think Jay’s choice to leave behind the politics of his youth for a shot at economic prosperity says about the larger American culture in 1981? How does Jay’s struggle to balance his desire for personal success against his commitment to the community reflect upon the challenges for the black middle class today? What are the ways in which Jay's marriage to Bernie drives him? 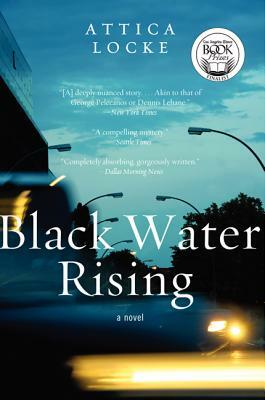 Black Water Rising is brimming with history, both political and personal. What do you think the placement of the flashbacks—when/where/how they are woven into the story—reveals about Jay's psyche and mental health? What do you think the longshoremen's labor fight says about how far the country had come in 1981, in terms of equal rights? How much of Cynthia's behavior in the book can be attributed to the fact that she's desperate to succeed as the city's first woman mayor? Does that excuse her sometimes despicable behavior? Do you have compassion for the sexism she's up against as a woman in a position of political power? Do you think Jay still has feelings for Cynthia? Does she have feelings for him? Do you think Cynthia set up Jay during their radical student days? If yes, do you think she could have done so and still had genuine affection for Jay? If no, why do you think Jay is so willing to believe that she was capable of such a betrayal? The story ends with Jay's decision to take on Cole Industries in court. What do you think happens? Does he win? Does it matter? Is Jay's willingness to take on the fight more important than any particular outcome? What do you think Jay would think of the city of Houston now? What would he think about America in the post-Obama years?